Watch Official Kasaba Movie Teaser: Kerala Superstar Mammootty starrer on this movie as a lead male role and along with him, and there are some supporting actors such as Naha Saxena, Varalaxmi Sarathkumar, and Jagadish. Nithin Renji Panicker narrated and directed this upcoming Mollywood Film. Nithin Renji Panicker asked Rahul Raj to compose music for his film, Kasaba. The Mansoor Murthy edited the frames of Sameer Haq’s Cinematographed scenes. All this cast and crew were benefited by the Goodwill Entertainments Production Company. The Production company arranged all the things which the movie will hit the theaters as soon. Now, here today, the Kasaba Teaser will be launch today (June 25, 2016) on YouTube at 7 PM. Scroll down and watch the Kasaba Teaser online. Before of the official Release of Kasaba Teaser, the film crew faced a trouble about the teaser leak on Online. We all heard about the Official release date of Kasaba teaser as June 25, 2016. But, the Kasaba teaser was leaked before its official date. And this video has also gone viral on all social media such as Facebook, Twitter, and Whatsapp. Finally, the Movie crew took an action about this issue as reported to Google YouTube and deleted all the videos. The Kasaba Teaser will be running for 37 seconds. 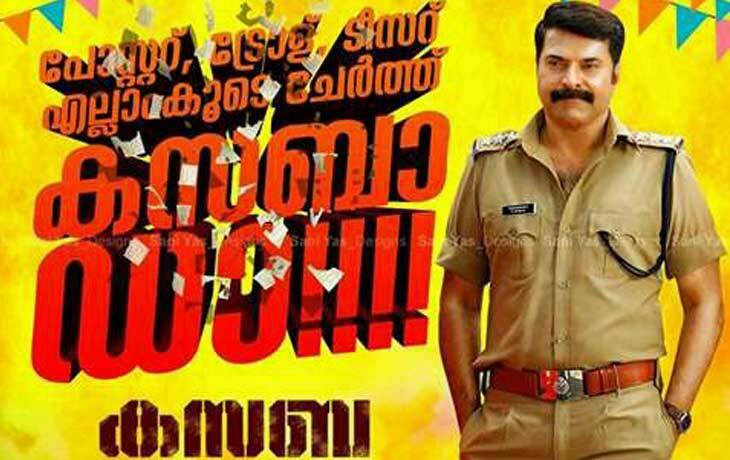 The lead Male actor of Kasaba, Mammootty acted as a Police officer on the CI Rajan Zacharia character. As we reported already with the help of Kasaba Movie wiki about the supporting actors and Movie release date. The Neha Saxena and director Bala’s Tharai Thappattai Varalaxmi Sarathkumar. The Kasaba Movie crew answered about the Teaser leak as that is not an official teaser, just a promo cut of Kasaba and the background music has also stolen from the Telugu movie. The Kasaba Movie Poster viral with the release date as the week of EID 206.